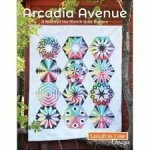 You can either work on the Arcadia Avenue Quilt or any other paper pieceing project. Linda will be here to help you. Work on your own silk ribbon or crazy quilt project. Work on Crabapple Hill Studio patterns using hand embroidery and Crayon techniques. Machine embroidery, share ideas and knowledge with other Machine Embroidery Enthusiasts. 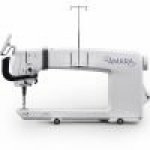 Open to owners of Handi-Quilter Long Arm machines. 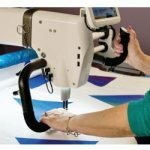 Discuss techniques and tips for making using your Handi-Quilter easier. 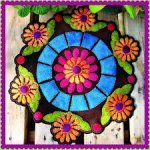 Come work on you own wool applique projects with other wool enthusiasts. Hand applique Group< Join this great group of hand appliquer's for a fun day of social interaction as well as hand stitching. This is an open sewing session, that meets the first Friday of each month. Come work with your friends to sew for your local Charities. Fabric provided for the projects. An open sewing session to work on your projects with friends. Join this great group they are sewing for our local Charities. Quilts, bags, teen quilts and lots of different items needed by the charity groups. Sew sweetness club gets together to work on projects. 12 Hours of Instruction Expand your quilting creativity! In this hands-on class, you will learn to use a wide variety of Art and Stitch tools. You don?t need to be able to draw to create in Art and Stitch; you need only be able to use a mouse. We?ll study the following, and more: Students should come to class with a laptop, or the Pro-Stitcher tablet, with the keyboard, and a wired mouse. If help is needed to install Pro-Stitcher Simulator and/or Art and Stitch, assistance will be given. Everything Pro-Stitcher Premium 12 Hours of Instruction In this comprehensive class, students will learn all about the Handi Quilter Pro-Stitcher Premium program using both hands-on and simulation. This class is great for both new and experienced users. Students should come to class with a laptop, or the Pro-Stitcher tablet, with the keyboard, and a wired mouse. If help is needed to install Pro-Stitcher Simulator and/or Art and Stitch, assistance will be given. This is going to be an amazing fun time working on Handi Quilter Long Arm machines. Day session - Pillow of the Month class using Kimberbell Designs Bench pillow patterns. Learn how to make a lined apron, bias ties and machine embroidery Kit's available.